During the Victorian times many men sported a beard and mustache, even though grooming tools took a forefront at trading posts. It was the fashion of the time. Today, you’ll more commonly see men with a shaved face, though that Miami Vice day old growth was popularized in the 80s. Increasingly, we’re seeing more men in film sporting a mustache or a beard. 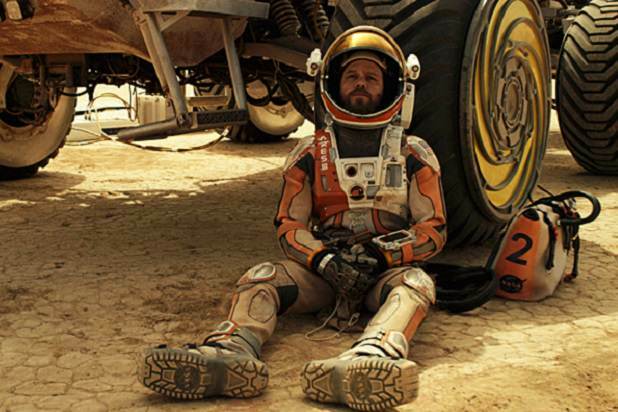 In the Martian, Matt Damon grows a beard. Can it be becoming fashionable for a man to have a beard? Ridley Scott is infamous for his Alien Series. And he has a new hit on his hands—The Martian. 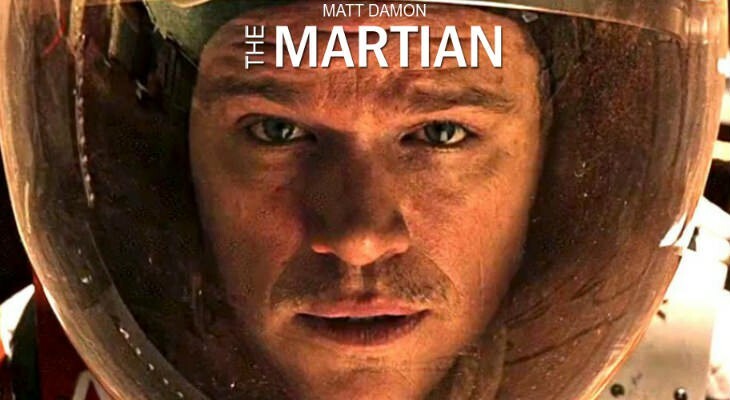 Matt Damon is a beloved actor, and he plays Mark Watney, a likeable dude who for reasons beyond his control, has been left behind on Mars. We all know how that’s going to go. As they said during the final battle on Battlestar Galactica—this is likely going to be a one way trip—we also know that the Mars missions that four agencies are planning to send over the next sixty years will not be coming home either. Mark is a smart character. He knows how to extract water from the air, and recycle his bodily waste to make his own food. He can fix, repair, and make gadgets for survival. And wisely, he chooses not to shave, and let his beard grow, because life on Mars is his focus. During the film we watch as his beard grows. It starts to fill up his helmet. It’s a touch of defiance to the harshness of the Mars environment. He can take what she has to dish him. He remains good natured, and focuses on the task at hand, rather than throwing a tantrum about being left behind. He and Mars, they can be best friends for a while. When Mark is ready to leave for home in his trusty Rover, he has a look at his reflection. Perhaps it’s time to leave the old life behind. How ironic that it would be on Mars, not a place that many get to leave behind, and certainly not alive. As he looks in the Mav’s mirror, he decides that he is going to leave his beard behind as well. Ever the optimist, he’s going to leave his beard on Mars, and prepare himself mentally for the return of his older self. Does he just want to look good for the big fanfare during the reunion, or is it symbolic of leaving the disaster behind, and getting on with life? I’d like to think that it’s a bit of both. Humans can’t leave their vanity beyond, even when death is impending. Even after death, we’re glamorized, brushed, and painted. We must always look our best. Many aspects of space are beyond human comprehension. 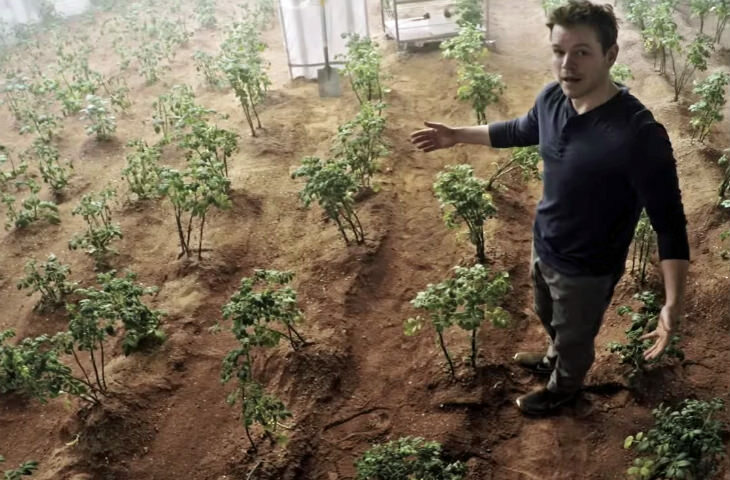 How can a human survive on Mars? Yet, there have been successful missions to the Moon and back. It’s certainly possible to artificially supply all elements of life, in order for a man or woman to survive on Mars. When Mark decided to grow out his beard, it was apparent that hygiene took a back seat in space. Water needs to be drunk, not washed in. Clothes and humans will have to remain grungy for a bit, until the weekly bath schedule looms. Besides a lack of water, sixteen hours a day may be spent attempting to survive. There’s no time for grooming, no time for cosmetics or a comb, and certainly no time to shave your stubble. When your very life is dependent on keeping the air flowing, and extracting water to drink, and growing food, then grooming takes a back seat. Kind of like early humans, before they understood the basics of good hygiene. If you didn’t hide in the trees, the predators would find you. If you didn’t find a source of water, or hunt and gather food, you would starve to death. If you didn’t build your own shelter, you’d be exposed to the elements and die of illness. Apparently, Mark had the same idea too. 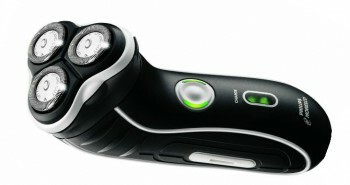 Once he decided to shave his beard off, he grabbed a cordless electric razor. Not corded, because Mars has no electrical outlets, except in human habitats. Obviously he remembered to charge it up the day before. Mark brought a Wahl electric razor with him. You may not have heard of the Wahl brand before. 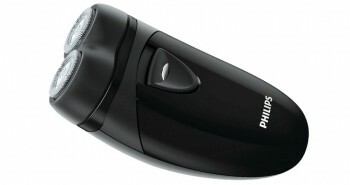 It’s certainly not as popular as Philips, Panasonic, or Braun. In fact, you may be more familiar with Wahl hair clippers. The Wahl company began in 1919 with hair clippers, then expanded their line into men’s shavers. By 1967, they had their first cordless hair clipper on the market. If you’re familiar with the For Dummies publishing line, they own that too. The Wahl line of men’s shavers may not look fancy, particularly to an actor with a high earning capacity such as Matt Damon has, after all, he probably buys the $400 top end Braun, but the Wahl shaver certainly gets the job done. It quickly made short work of Mark Watney’s beard, and soon he was able to get back to the task at hand, reconnecting with his colleagues. 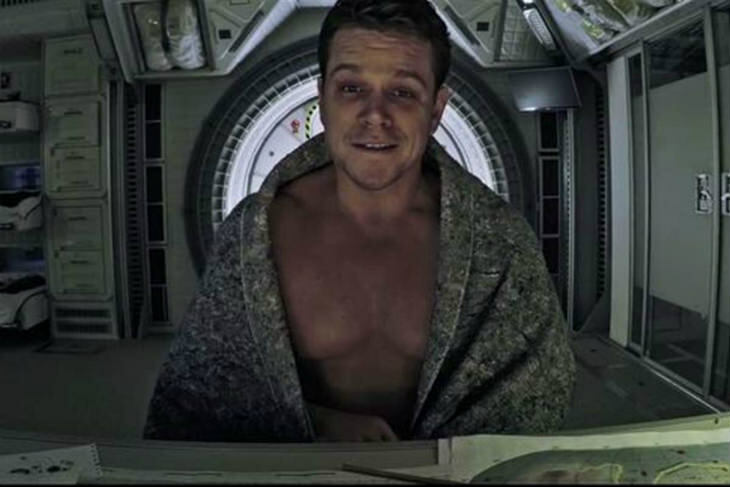 Matt Damon eventually shaved off his beard, reasoning that he wanted to have a new life once he returned to the Earth. There may be men seen growing a beard in many films, but it seems to only reinforce the plot line—the man is somewhere where he cannot shave—on Mars in a spacesuit—a hostage in Iraq—a soldier in Afghanistan. Will more men be sporting beards, as winter approaches? After all, it’s the best time of year to grow one, particularly for men who spend a lot of time outdoors. Matt Damon has a ton of fans, so perhaps more male fans will decide to grow a beard? Perhaps he may influence one or two, but somehow I don’t think that the cordless electric shaving companies are going out of business anytime soon.